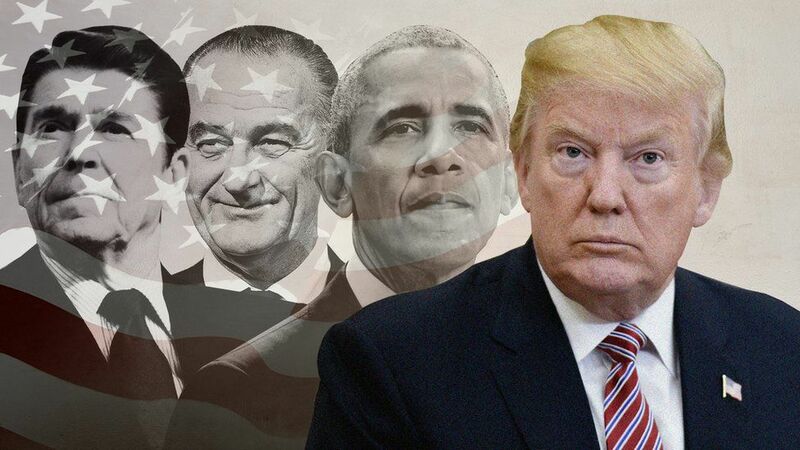 The US president’s attacks on America’s truth-seeking institutions jeopardize its continued prosperity and very ability to function as a democracy. As corporate giants capture the institutions that are supposed to protect ordinary citizens, a dystopia once imagined only by science fiction writers is emerging before our eyes. Adam Smith tried to provide an answer in his classic 1776 book The Wealth of Nations. For centuries, Smith noted, standards of living had been stagnant; then, toward the end of the eighteenth century, incomes start to soar. WhySmith himself was a leading light of the great intellectual movement known as the Scottish Enlightenment. The questioning of established authority that followed the earlier Reformation in Europe forced society to ask: How do we know the truth? How can we learn about the world around us? And how can and should we organize our society?From the search for answers to these questions arose a new epistemology, based on the empiricism and skepticism of science, which came to prevail over the forces of religion, tradition, and superstition. Over time, universities and other research institutions were established to help us judge truth and discover the nature of our world. Much of what we take for granted today – from electricity, transistors, and computers to lasers, modern medicine, and smartphones – is the result of this new disposition, undergirded by basic scientific research (most of it financed by government). That process of experimentation, learning, and adaptation, however, requires a commitment to ascertaining the truth. Americans owe much of their economic success to a rich set of truth-telling, truth-discovering, and truth-verifying institutions. Central among them are freedom of expression and independent media. Like all people, journalists are fallible; but, as part of a robust system of checks and balances on those in positions of power, they have traditionally provided an essential public good.Since Smith’s day, it has been shown that a nation’s wealth depends on the creativity and productivity of its people, which can be advanced only by embracing the spirit of scientific discovery and technological innovation. And it depends on steady improvements in social, political, and economic organization, discovered through reasoned public discourse. Posted in Economic and Public Policy, Economics, fiscal Policy, Global Issues, Human Rights, Human Security, Leadership, Political Economy, Project-Syndicate.org, Social Policy, Trumpianism, US Economy, US foreign policy. The collapse of last month’s summit between US President Donald Trump and North Korean leader Kim Jong-un was perhaps the inevitable result of a process in which the two leaders dominated, optimistic about their personal relationship and confident in their abilities. The question is what to do now. 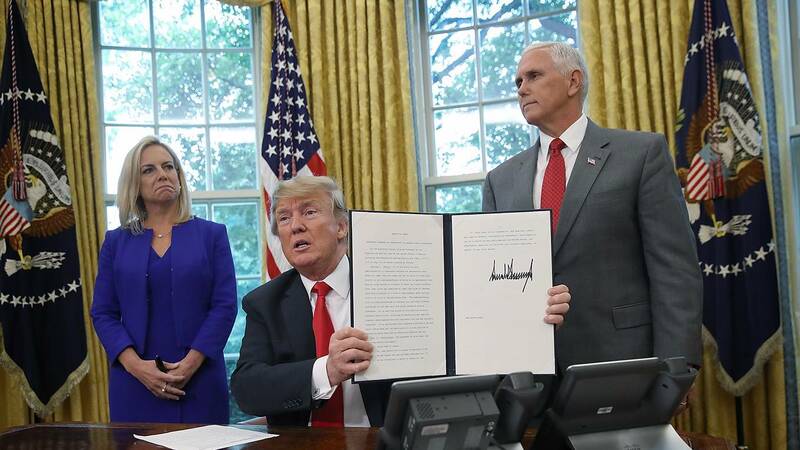 NEW YORK – When last month’s summit between US President Donald Trump and North Korean leader Kim Jong-un ended without a deal, the result was not surprising. One or both countries came to Hanoi with a misunderstanding of what was possible. Posted in China, Diplomacy, Donald J Trump, Foreign Affairs, Foreign Policy, Geo-Politics, North Korea, Project-Syndicate.org, Realpolitik, Russia, US Congress, US Department of State, US foreign policy, US Presidency, Valdimir Putin, Xi Jinping. At this year’s Munich Security Conference, appearances by former US Vice President Joseph Biden and current Vice President Mike Pence offered the trans-atlanticists in attendance a portrait in contrasts. Yet to achieve the bright future promised by Biden, Europeans need to heed Pence’s dark warnings. MUNICH – Two Americas were represented by two different vice presidents at the Munich Security Conference this year. Between them, former Vice President Joseph Biden certainly received the warmer reception, but Vice President Mike Pence may have unwittingly emerged as the savior of transatlantic relations. In his address, Pence duly championed his boss, US President Donald Trump, as the “leader of the free world.” But the “free world” he described was scarcely recognizable to the Munich audience. In the world Trump wants to lead, America is not the exceptional power, but merely a normal country putting its own interests first. By that logic, it is only reasonable to break from multilateral institutions that allow weaker countries to free-ride on American largesse. In keeping with this vision, Pence used his speech to demand that Europeans spend more on defense, and to extol the virtues of the Trump administration’s trade war against China. But the climax came when he enjoined Europe to get in line with the US in suspending the 2015 nuclear deal with Iran – the Joint Comprehensive Plan of Action (JCPOA) – and restoring sanctions on the Islamic Republic. According to Pence, Iran is plotting another Holocaust, for which Europeans will bear partial responsibility unless they stop undermining US sanctions. This warning came on the tail of a US-hosted conference in Warsaw, which was designed to drive a wedge between European Union countries and derail the bloc’s efforts to salvage the JCPOA. Biden ended his remarks to great applause, declaring, “We will be back.” Was he referring to an outward-looking America, or to a future Biden presidency? Many of those present hoped for both. The rapturous applause following Biden’s appearance was markedly at odds with the awkward, stony silence that followed Pence’s address. The contrast was reminiscent of the early 2000s, when disillusioned transatlanticists took refuge in The West Wing, wherein the cerebral character of President Josiah Bartlet (played by Martin Sheen) stood in stark contrast to George W. Bush and his administration’s disingenuous brutality. But such escapism yields only false hope. Rather than being lulled into complacency by Biden’s reassuring words, Europeans would be better off heeding Pence. Only by growing up, paying its way, and clarifying its goals can Europe repair the transatlantic relationship and ensure a healthy and durable partnership. The fact is that Europeans and Americans have long lied to themselves and each other about the extent of their common interests and values. European and US strategic interests have been diverging at least since the end of the Cold War. America rescued a hapless Europe in the Balkan Wars of the 1990s. But by the time of the Kosovo War at the end of that decade, Europeans had begun to wake up to their responsibilities. In the 2008 Russo-Georgian War, and in the conflict in Ukraine since 2014, it was Europeans, not Americans, who led the diplomatic response and imposed the strongest sanctions on Russia. Moreover, Europe is the only party ever to have mobilized in the name of collective defense under Article 5 of the NATO treaty. Following the terror attacks of September 11, 2001, Europeans sent forces to distant wars in the Middle East, over which they had little control. In hindsight, it is clear that those wars destabilized Europe’s neighborhood and, eventually, Europe itself. America’s exclusive focus on counter-terrorism left war-torn Middle Eastern countries with fragile governments, or none at all. And in recent years, Europeans have increasingly borne the costs in the form of terrorism and influxes of refugees. As for the US, many of its 320 million citizens no longer understand why they should have to protect 500 million Europeans, who live, after all, on a relatively peaceful and prosperous continent. They know that their country is in an escalating competition with China in the Indo-Pacific, and are thus shocked that Europeans would join the Chinese-led Asian Infrastructure Investment Bank. Ultimately, Europeans are left between a rock and a hard place. They, too, want to push China harder on trade and investment issues. But the best way to do that is through the World Trade Organization, which the Trump administration is actively undermining. The divergence in values is no less pronounced. For their part, Europeans support international institutions, rules-based arrangements, and multilateralism generally. But America has always been ambivalent about treaties and institutions that might constrain its sovereignty or defy its objectives. 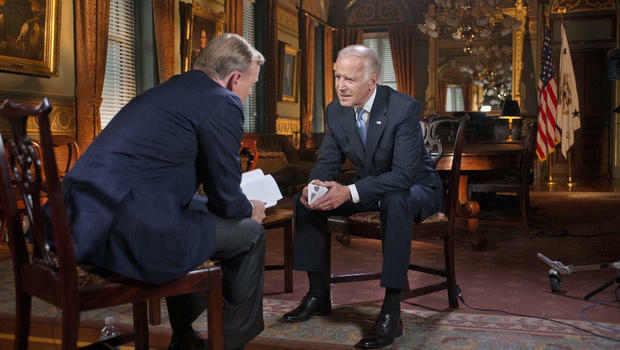 While Trump and Pence crudely state what today’s America wants, Biden is selling a vision of America that it no longer obtains. The US government does not have the American people’s consent to act on the world stage as it once did. While Americans still recognize the importance of sustaining US economic and military primacy vis-à-vis China, they appear to have rejected the elite consensus on trade, defense spending, and diplomacy. The transatlantic partnership will always be Europe’s most important relationship. But it can last only if both sides take responsibility for their own affairs. The alliance would be immeasurably stronger if it were based on an honest assessment of each side’s interests and values, rather than on quaint illusions of fellow feeling. 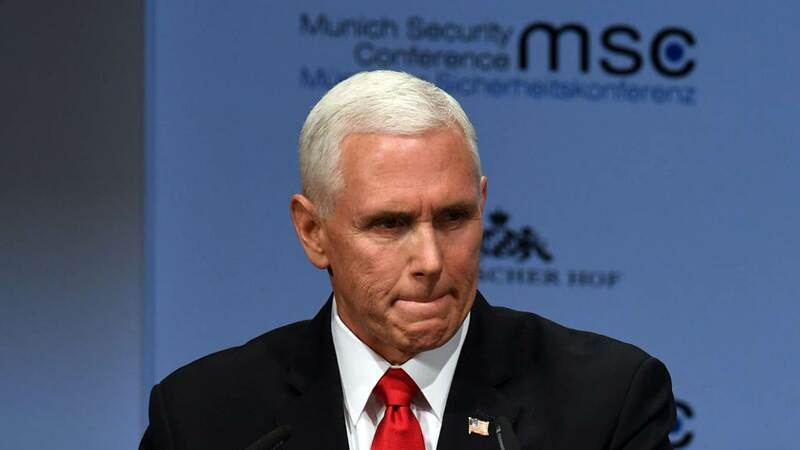 Pence’s blunt speech in Munich may have been painful to hear; but one hopes that it will bring an end to European complacency and point the way to a renewal of transatlantic relations on realistic terms. If that turns out to be the case, Pence will have won the title of transatlantic hero – whether he wants it or not. Posted in American Politics, Diplomacy, Donald J Trump, European Union (EU), US foreign policy. In the ongoing US-China trade talks, considerable progress has been made on several key trade issues, such as intellectual-property rights protection. But to defuse tensions in any sustainable way will require a more comprehensive approach, based on a fundamental shift in mindset. HONG KONG – Trade negotiations between the United States and China are closing in on the March 1 deadline, after which the bilateral tariff war will resume – beginning with an increase from 10% to 25% on $200 billion worth of Chinese products. While global financial markets are fluctuating wildly, investors seem to assume that too much is at stake for the US and China to fail to reach a deal. Their optimism could prove short-lived. To be sure, there has been considerable progress on several key issues, such as technology transfer, protection of intellectual-property rights, non-tariff barriers, and implementation mechanisms. But to defuse tensions between the US and China in any sustainable way will require a more comprehensive approach, based on a fundamental shift in mindset. Over the last 40 years, Sino-US engagement has been largely cooperative, reflecting a holistic approach that takes into account the interests of the entire global system. 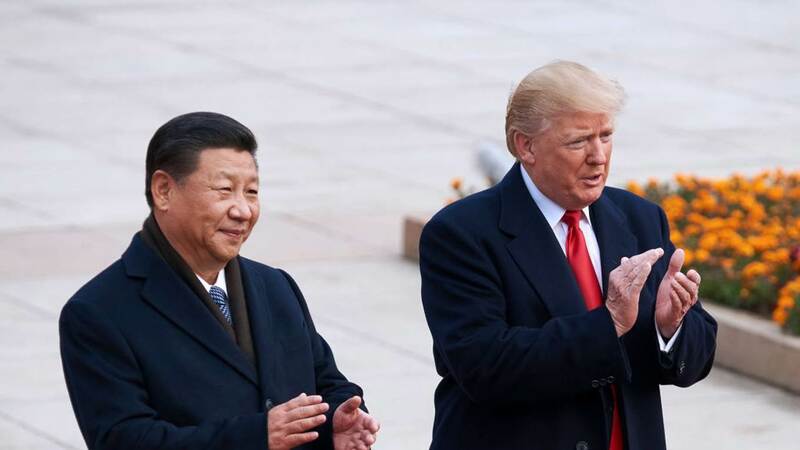 US President Donald Trump’s administration, however, does not seem to believe that engagement with China (or anyone else for that matter) can benefit both sides. As Trump’s “America First” agenda shows, the US is now playing a zero-sum game – and it is playing to win. For example, the US has threatened to punish or desert its closest allies unless they increase their defense spending. Under pressure from the Trump administration, South Korea just agreed to increase its contributions to US forces in Korea by 8.2%, to $923 million, in 2019. Similarly, Trump has repeatedly disparaged fellow NATO members for insufficient defense spending. Most recently, Trump has criticized Germany for spending only 1% of GDP for defense, compared to America’s 4.3%. German Chancellor Angela Merkel responded by condemning US isolationism at the Munich Security Conference, and calling for the revival of multilateral cooperation. The Trump administration’s myopic approach is also apparent in its preoccupation with bilateral trade imbalances. Any US deficit with another economy is, from Trump’s perspective, a loss. Given this, if China agrees to cut its bilateral trade deficit with the US, other economies with bilateral surpluses vis-à-vis the US – including close allies, such as the European Union and Japan – may find themselves facing intensifying pressure to do the The weakening of trade that could result in this scenario would compound existing negative pressure on global growth, hurting everyone. A global economic downturn is the last thing the world needs at a time when it is already beset with risks, including a possible no-deal Brexit and populist gains in the European Parliament election in May. Of course, while Trump does not spare his allies, his primary target remains China. After all, the competition between the US and China extends far beyond trade. Although the US maintains military, technological, financial, and soft-power superiority, China has been steadily catching up, leading to bipartisan support in the US for a more confrontational approach. And yet America’s tools are hardly useless. The US authorities have mobilized a broad range of domestic and international resources – from law and diplomacy to national security measures – to stop the overseas expansion of the Chinese telecommunications giant Huawei. If Western countries allow Huawei to build their 5G infrastructure, America’s hawks and their allies argue, they will be vulnerable to cyberattacks from China in some future war. All of this has shaken business and market confidence to the core, wiping out trillions of dollars in market capitalization. And the Trump administration’s apparent insistence that countries choose sides in its dispute with China is further heightening fears. As the rest of the world’s trading countries understand, Trump’s approach will fragment business and reverse the globalization-enabled economies of scale that have fueled growth for decades. “Ending the Sino-US trade war will require considerable statesmanship on the part of Trump and Chinese President Xi Jinping. But, beyond that, both sides need to recognize that supporting global peace and prosperity requires less ideology and more respect for diversity of political, social, and cultural systems. Failing that, the fault lines will continue to deepen – much as they did in the 1930s – potentially setting the stage for full-blown war”- . More broadly, the Trump administration’s rejection of multilateralism undermines the global cooperation needed to confront a range of issues, including migration, poverty and inequality, climate change, and the challenges raised by new technologies. Trump’s focus on geopolitical rivalry – and the associated rise in security and defense spending – will dramatically reduce resources available for global public goods, such as infrastructure investment and poverty-reduction programs. Posted in Diplomacy, Foreign Policy, Geo-Economics, Multilateralism, Trade and Finance, Trade and Investment, Trumpianism, US foreign policy, US-China Relations, Xi Jinping.